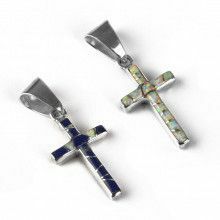 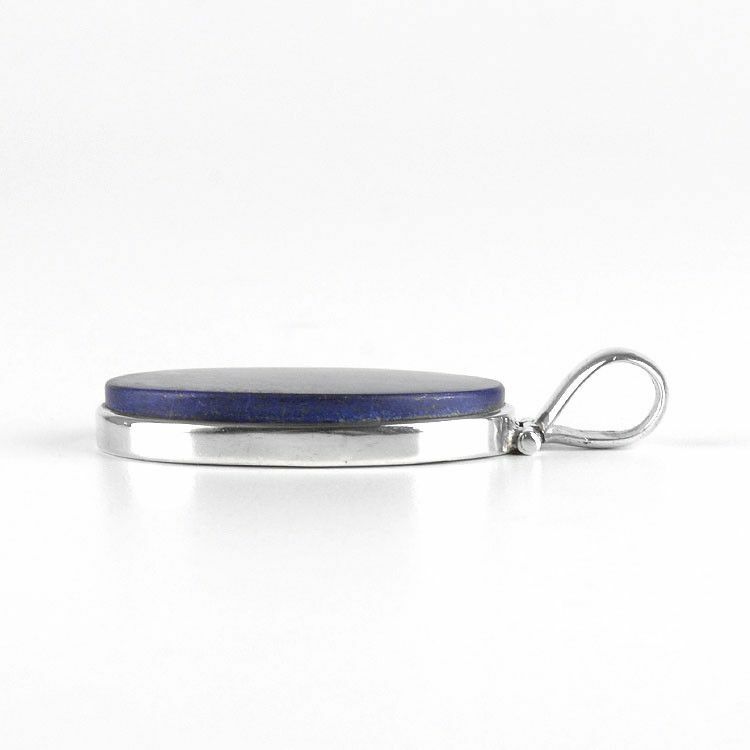 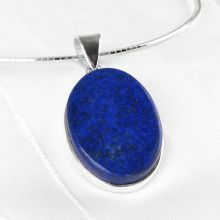 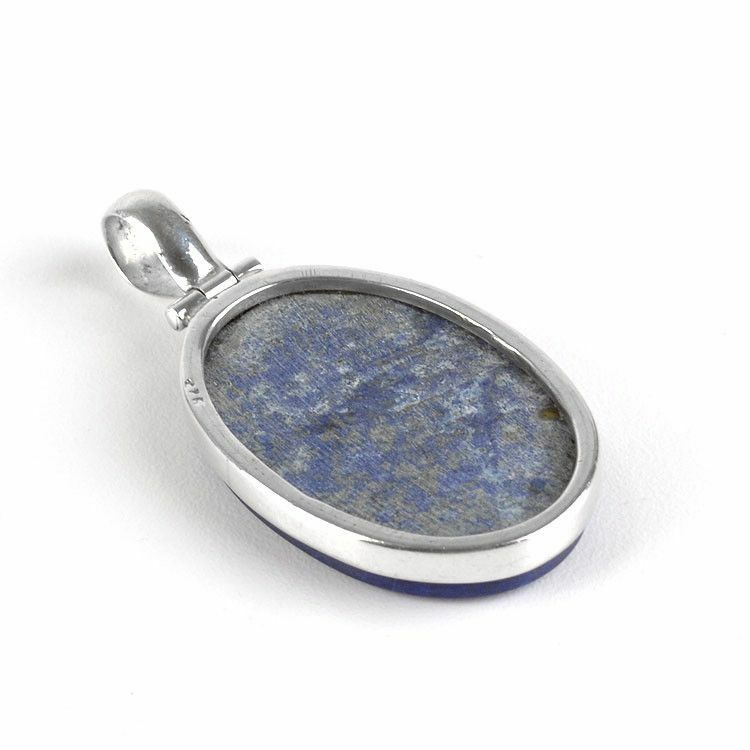 This 1" wide, 2" long blue lapis lazuli gemstone pendant offers the most interesting fashion looks. 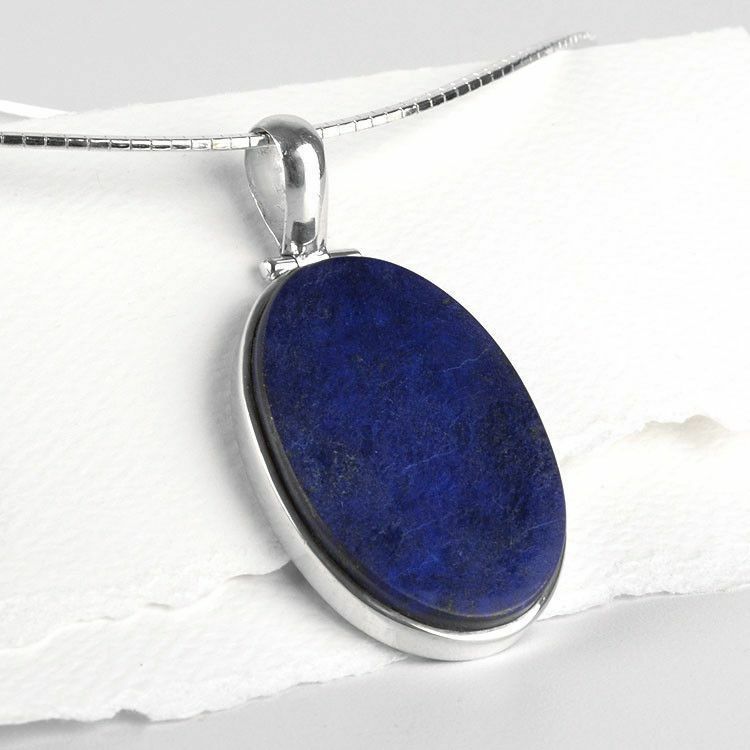 It is set in a framework of sterling .925 silver. 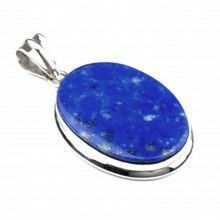 This classic oval pendant is a prime example of fine world gemstones. 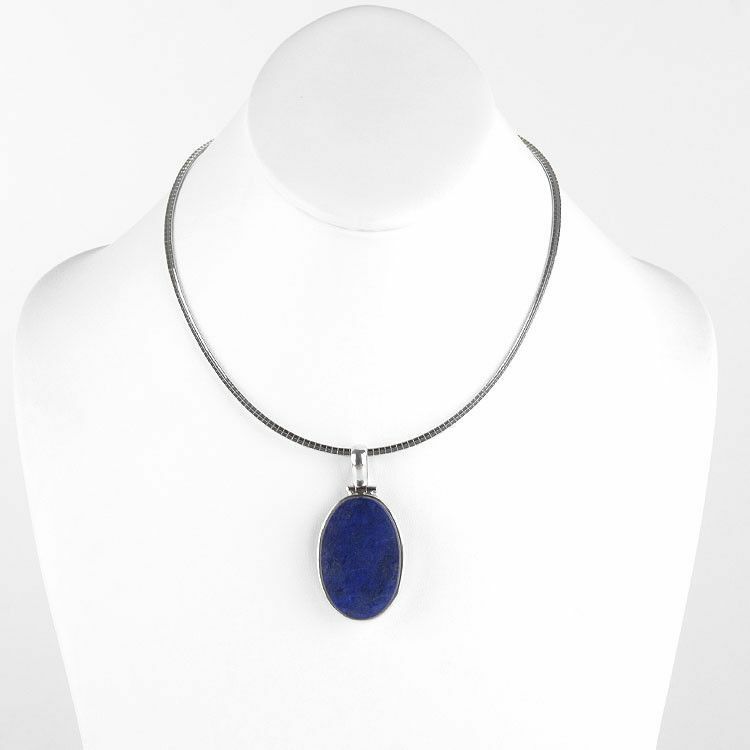 This beautiful piece was carefully hand-carved and polished to bring out its inherent beauty.